Reader Cecily, from a western US state, has kindly permitted me to share details of of her pearl reno. Like many women, Cecily owned a strand of pretty, small, graduated pearls, the style jewelers call "debutante necklaces". (Remember, debutante is French for "beginner".) 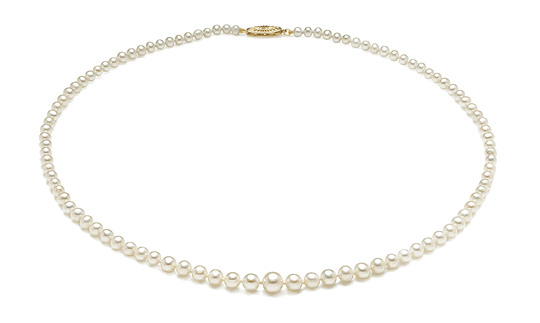 Shown, 3mm-7mm graduated strand from American Pearl. After she read some posts here, she researched designs on the net and brought photos of various pieces to her local goldsmith. That's a terrific tactic, because jewelers work like hairstylists: photos make your vision clear to them. Cecily's pearls were lengthened and zhuzhed with glowing emerald beads and gold spacers, with larger decorative caps on the center pearl. She notes, "We did a lot of bead-by-bead decision making, changed the design a couple of times and the jeweler charged a design fee." Cecily also renovated a graceful gold and diamond rose pin that belonged to her mother. The pin's original stem was removed, and the piece made into a pendant which she says she now wears "more in a week than I did in a decade". She also said "I'll be passing on both pieces to the next generation and wanted to keep the 'essence' intact." The cost for both projects was close to $800 (including the gold chain for the rose), and she says, "I got most of that from my gold scrap." I love this blend of beauty, value, and sentiment—all from what was once virtually unworn. Cecily, I so appreciate your sharing your project. Cecily might inspire you to to restyle tucked-away pearls and then, to wear your new piece every day: she's in a tee and an Eric Bompard navy cashmere straight cardigan, so elegant yet relaxed. 2. Top right: Replace boring, dated clasp with a fab one. This is often one of the lowest-cost approaches but you can go crazy on some clasps! Sometimes the best new piece begins with one you already own! Thanks so much for sharing her experience. This is such a great visual lesson about reusing beautiful things in your own, very personal, way. Brilliant post, as always! 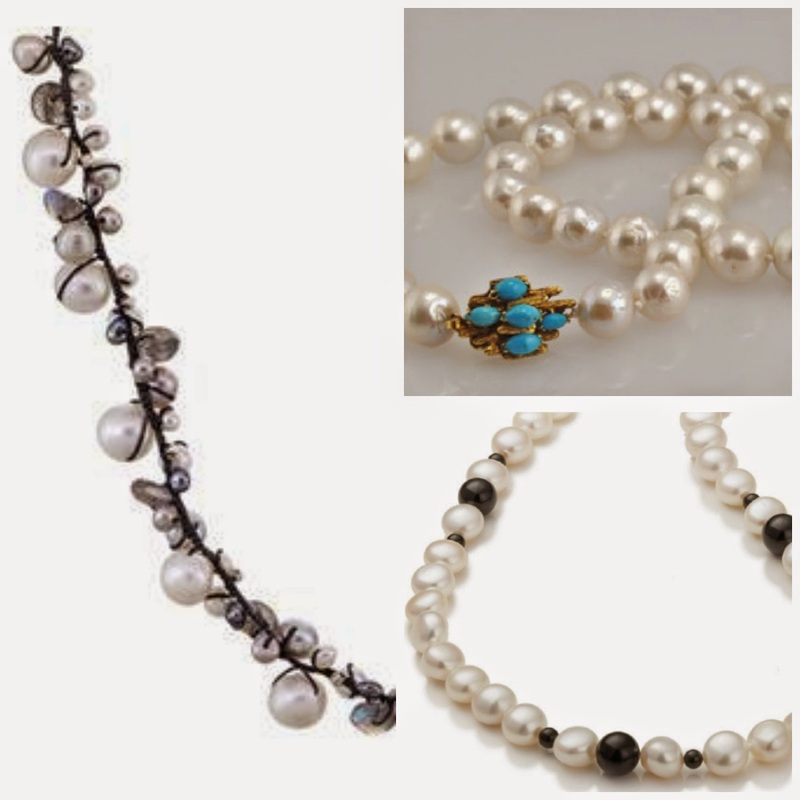 So interesting to see what Cecily did with her pearls, they look lovely. Her necklace is so much more contemporary now that it has been redesigned. I would not have considered emerald beads but they really look lovely. This is great! 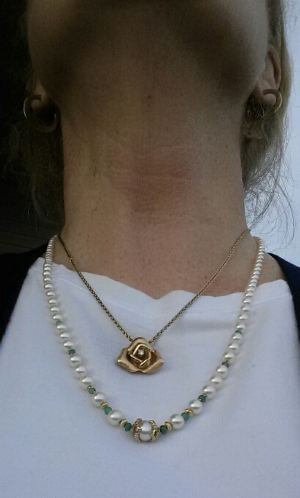 You have given me an idea to replace a clasp on a pearl necklace with a vintage jade and rhinestone piece from another old necklace. You are so creative and thank you! Janice: I just love it when readers are willing to share their projects! LauraH: The improvement is dramatic, and well worth the price. 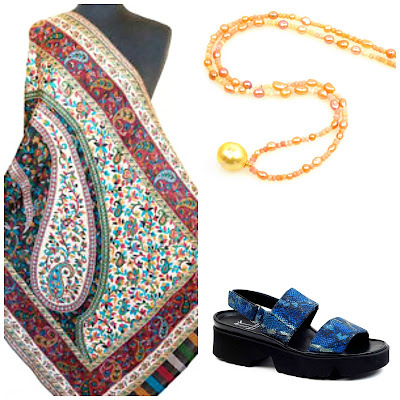 hostess: Precious gem beads (versus faceted cuts) are comparatively reasonable. Francie: Ooooh, would you please let us see that? Sounds fascinating, and also a very minor job as pearls need to be restrung periodically anyway. I am inspired to take a beloved brooch from the 1960's and give it a second life as a pendant. I simply don't wear brooches anymore. If I am able to locate someone here who can do this and if it turns out well, I will send you a picture. Thank you for the inspiration. Kristien: Wonderful! "Turning out well" means specificity in your ideas, and a jeweler who can execute the design. Note that Cicely says there were a number of meetings and playing with options. If you cannot find one locally, perhaps readers or I can suggest jewelers. 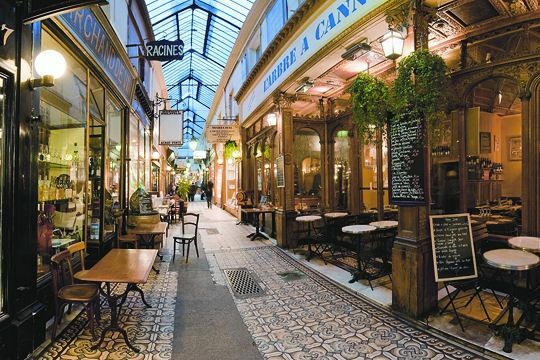 You can work very successfully these days via Skype or even by exchanging photos and talking. It has to be done right. I have never had a project not turn out, once I found jewelers who cared and had expert technical skills. Brooches, depending on size, can also be made into rings, bracelets (the brooch can be applied to a wide cuff, for example) or clasps for another style of bracelet or (yes, you should expect this) pearls. What a great idea. Duchesse - you are an inspiration! Love pearls. Am going to make that knotted and mixed rope for myself. Have been incorporating coloured and freshwater pearls into lariats, as live in the Southwest. Thank you for the inspiration, and also, the hair looks great. Carolyn: The credit goes to the client and her jeweler! Liz: Now you know I am going to beg for a photo when you make that, as well as for your lariats! Oh gosh. So gorgeous. I love those holder thingies around the big pearl, now I forgot what you called them! 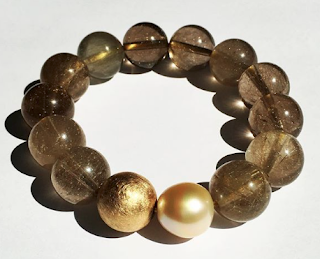 One more suggestion for that demure neckstrand, make it into a supremely elegant 3-strand bracelet with spacers. To die for. What on earth can I do with my mother's pearls that turn out to be not real pearls? It's a double strand, unevenly yellowed, not the heirloom I always thought it was when i was a child. Probably dates from the late 30s or early 40s. I'm reluctant to just donate it to the thrift shop, because it reminds me so much of her. Cla(i)re: Sorry to say, you might not find an appreciative taker even in a thrift, for patchy, yellow imitation pearls. You can keep them intact as a sentimental object; I see them framed, hanging against vintage fabric (perhaps also from your mother? ), or displayed in a 'memory box' type frame. The yellowing and patchiness will look simply 'antique'. 2. Add them to a memory quilt- or any project that is beaded. For all of these effects, you will need a bead needle and, if subject to any wear, use powerpro or similar beader's thread. For the projects above, treat the pearls as beads, not as pearls. Many thanks for your thoughtful response, Duchesse. As I have no craft skills, the thrift shop will probably get them. (My local one doesn't seem to be at all choosy.) The vintage fabric items of hers that came to me, I still wear with pleasure: several cashmeres (we lived in cold places) and a long straight Burberry. I have been putting off for months going through the jewelry and making keep or melt down decisions. And I still have to make a decision on what to do with the pearls from China. I am just not confident in my jeweler to do what I want at this time. Gonna pull that stuff out of the safe and start going through it this afternoon. You've kept them all this time as is, why not hang on to them? I'm sure they don't take up much space. Just because they aren't actually pearls doesn't mean that they are worthless. Anon@9:44: I believe you are speaking of "worth" in the sense of sentimental value, and I agree. I keep odd little things, such as my mother's pincushion or my Dad's glasses case. Of no tangible value, but special to me. Still, I would do something, such as frame them in a shadowbox, perhaps in front of a photo, or with other mementos of the original owner, rather than stick them in a drawer. "Just what is wrong with fake pearls?" Fine jewelry: Wear or worry?